Photomizer Retro is a software program developed by Engelmann Media GmbH. We know of version 2.0. Version 2.0.14.106 is available for download at our site. Photomizer Retro distributive has a size of 34,919,626 bytes. 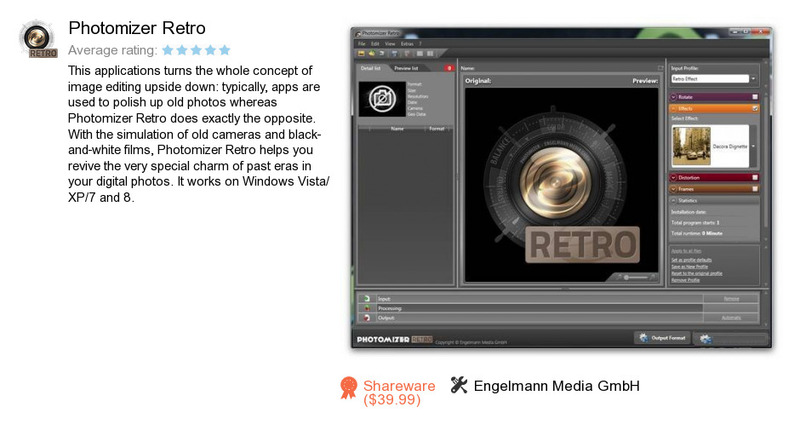 Engelmann Media GmbH also publishes Photomizer 2 Plugin and Win8Starter.